Beekeeping is always more enjoyable if the bees you are handling are good quality. I’ve briefly discussed judging the quality and temperament of your bees when writing about record keeping. With experience, and in particular with comparisons between colonies, it’s possible to identify traits which make working with your bees more enjoyable. Although I keep general records on colony build up, disease resistance and the like, the three behavioural traits I try and accurately score my bees on all relate to how pleasant they are to handle. These are temper, running on the comb and following. I score these on a scale of 1 to 5 (low to high) and any colony consistently at 3 or less will eventually require attention. Bees with poor temper or that run on the comb are unpleasant to inspect, making what should be an interesting activity a chore. Bees that ‘follow’ – dive bombing you dozens of metres away from the hives after an inspection – are a real pain. Aside from making your own post-inspection de-suiting risky they are a potential menace to others going near your apiary and so should not be tolerated. If you’re really unfortunate you can find bees showing all three traits simultaneously – stroppy, running, followers – but they’re more usually found individually. With all of these characteristics, assuming they’re not environmental (poor weather, no flow, queenless colonies etc. 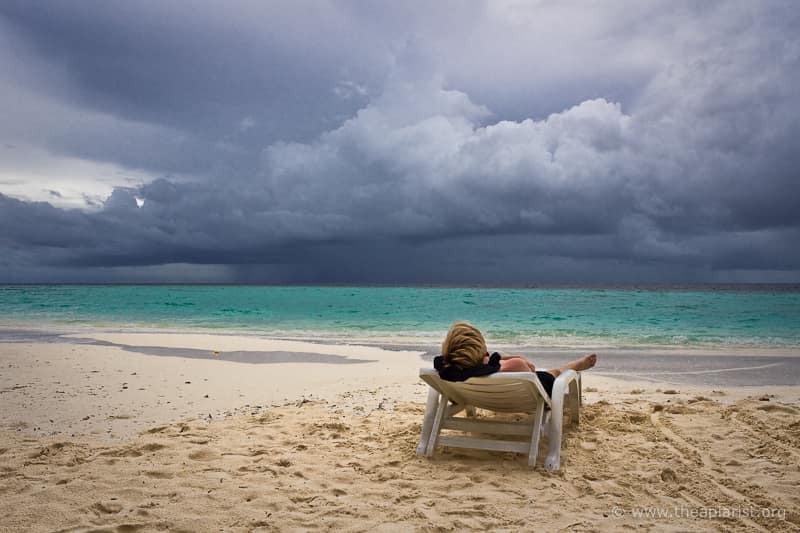 ), requeening is the usual solution. Genetics and environment determine behaviour, and if the environment is OK, then the genetics need changing. You can do this by purchasing a new queen, by rearing your own by grafting, or – as described below – by splitting the colony and providing suitable young larvae for the queenless portion to rear the new queen from. I usually graft and rear queens from my best stock but resources – time largely, due to overseas work commitments – mean that all my queen rearing and replacement is being done by splits this season. I’ve described the mechanics of a conventional vertical split for swarm control and making increase previously. The colony is divided using a split or division board into two. The queenright ‘half’ gets the flying bees, the queenless ‘half’ starts to make new queen cells from very young larvae. ‘Half’ because this is an imprecise science in terms of bee numbers … top and bottom half of the colony might be a better description, though colony orientation is not proscribed. After one week the colony is manipulated to bleed off flying bees from the queenless half, both strengthening the queenright half and reducing the likelihood of swarming. Three weeks later there should be a new, mated laying queen present. Like father, like son is more conventional, but clearly inappropriate for a colony of bees 😉 . As outlined above, the queenless half of the split rears a new queen from larvae already present in the colony. If this is a colony with undesirable characteristics then there’s a distinct possibility you’ll be getting ‘more of the same’. These larvae came from eggs laid by the queen that headed the colony with the very-same undesirable characteristics you’re trying to replace. With open mated queens it’s a lottery, but the deck is already stacked against you – if you’ll excuse the mixed metaphors. So … stack the deck in your favour by providing eggs and young larvae from a colony with desirable characteristics. Split the colony as previously described. In this case I’d argue that the queenless half should be on the top of the stack of boxes as you’ll be inspecting it a couple of times. Make sure the queenright half has sufficient stores should conditions deteriorate as they’ll be short of foragers for the next week or so. 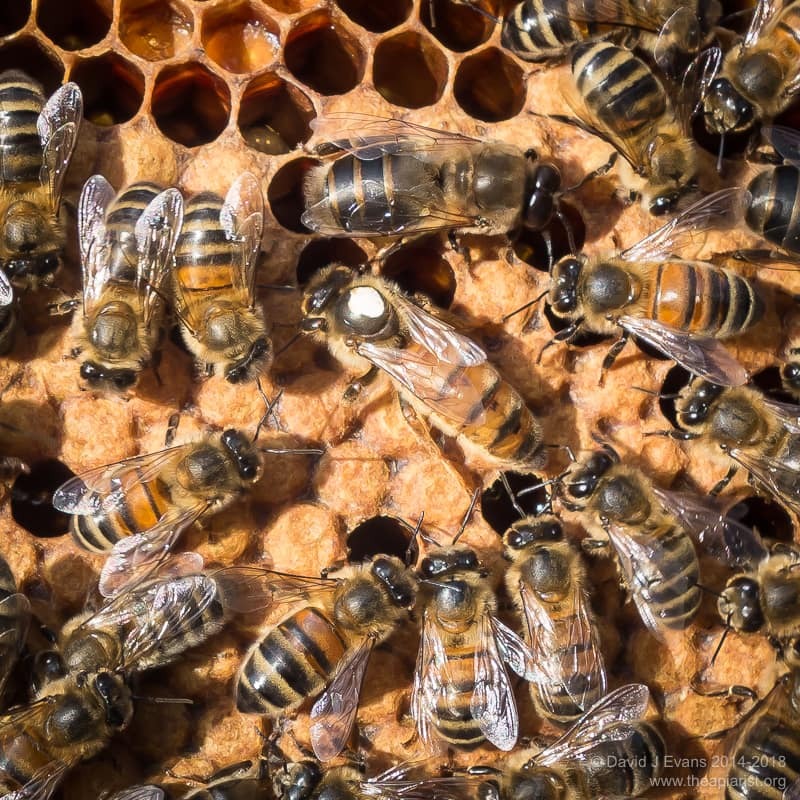 Make sure that the queenless half has the majority of brood – sealed and unsealed – as you’ll need young bees over an extended period to rear new queens. At the end of this initial manipulation the queenright half will use an entrance at the bottom of the stack, orientated in the opposite direction to the original hive entrance. The split board will have an entrance open at the original front of the hive. This is illustrated in the ‘reversed’ orientation on the right hand side of diagram (right). 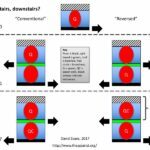 For a more comprehensive discussion of the orientation of the queenright and queenless portions see the recent post entitled Upstairs, downstairs? One week later you need to carefully inspect the upper (queenless) box. Any and all queen cells must be found and destroyed. 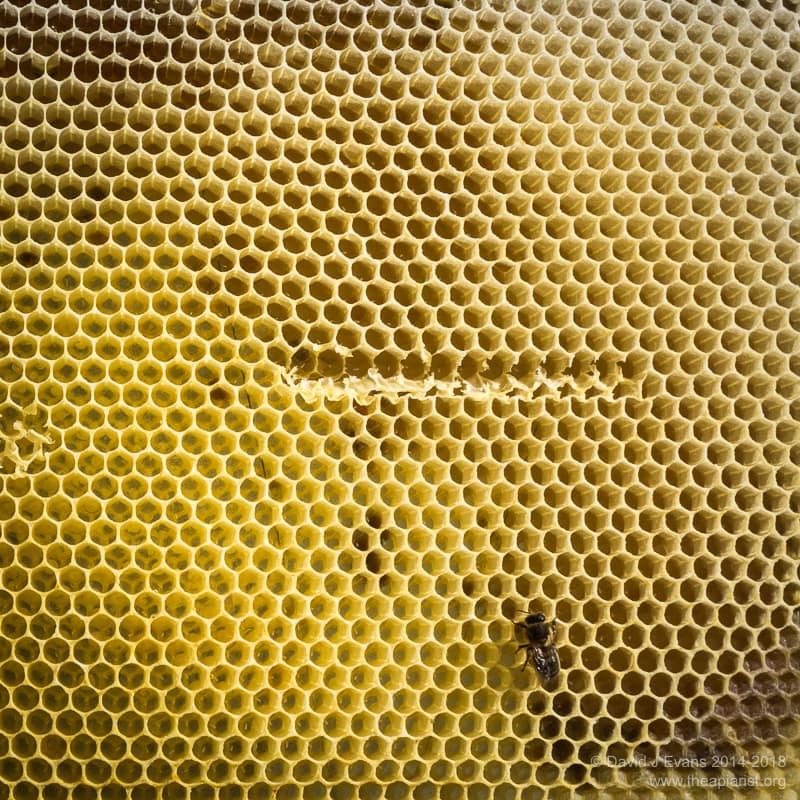 You will need to shake the bees off every frame to do this. These potential new queens were all reared from eggs and larvae laid by the original queen. Since 7 days have elapsed there will no longer be any suitable young larvae for the colony to rear a new queen. The maths are straightforward; a newly laid egg hatches after 3 days and larvae must be less than 3 days old to rear queens from. When returning the frames to the brood box leave a gap in the middle. Into this gap add a frame containing eggs and young larvae from a colony with desirable genetics i.e. good tempered, steady on the comb and none of those dreadful followers. Mark the frame so you can identify it again if needed. If you have a choice of frames to transfer use one with fresh new comb as the bees find this easier to manipulate when drawing out queen cells. With the new frame of eggs/larvae added you’re now back on track to complete the vertical split. I’d suggest reversing the hive at the same time as you add the frame of ‘desirable’ larvae. There should be plenty of young bees in the upper half of the split and it’s these that will rear the new queen. The flying bees will strengthen the queenright half of the hive, helping gather nectar if there is a flow on. Make sure the queenright half of the hive has sufficient supers – you don’t want to be disturbing the colony too much, particularly in about 2-3 weeks which is when the new virgin queen will be going on her mating flight(s). One week after adding the frame of new eggs and larvae there should be queen cells clearly present on the marked frame. If there aren’t it’s likely you missed a queen cell when shaking through the colony and there might be a newly emerged virgin running about in the hive. 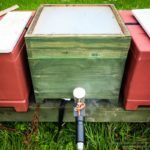 This entry was posted in Beekeeping, Queen rearing and tagged bad tempered, queen cells, queen rearing, split board, stock improvement, vertical split on June 2, 2017 by David. 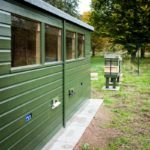 Since moving to Scotland my DIY activities have been restricted – by lack of time, by lack of space and by lack of any major shortages in the equipment I use. However, a couple of spare sheets of Correx became available after some non-bee projects and I decided to use them to knock up a few split boards for swarm control and requeening this season. As an aside … I love Correx. It makes great roofs, temporary floors and landing boards. Split boards are simple square boards with beespace both sides and – usually – a single entrance. With an entrance door (rather than a simple gap) closed they can double up as crownboards or can be used to stack supers late in the season. They can also be built with mesh panels to allow the warmth and smell of the lower colony to spread through the hive. However, in this instance these were to be about as simple as possible so I omitted the mesh. For additional flexibility you can provide two opposing entrances with doors. With these the split board is starting to look dangerously like a cut down Snelgrove board. The vertical split method I use involves turning the hive 180° on the seventh day. With opposing entrances on the split board (and a corresponding double-entrance floor) it’s possible to avoid any heavy lifting – simply close the front door and open the rear door on the split board and vice versa on the floor. Really? How simple could it be? I don’t have a table saw (or space to hide store it) so asked the nice people at Haldane’s in Glenrothes to generate some 20mm x 9mm strip wood. They did this from oak (!) offcuts for about a tenth the price one of the DIY chain stores would charge for equivalent softwood. The latter would have been preferable, not least because I got some wicked splinters from the oak, but it was what they had to hand and would have otherwise gone to the wood burner. The Correx I had was 4mm thick. I’d have preferred 6mm, but as this was ‘spare’ from another project, I had to make do. I was originally going to use two sheets arranged at 90° to each other to provide rigidity. However, the first single-sheet prototype I built was plenty rigid enough so I stuck with that design. I cut the oak strips to 44cm in length, arranged them around the periphery of the 46 x 46cm Correx sheet and nailed all but two – on opposing sides of the top face – in place. ‘Overlap’ the corners (see image right) to provide additional strength. It’s worth noting here that my nail gun was only just strong enough to penetrate ~20mm of oak. 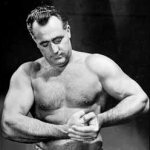 The few nails that protruded were driven home with a hammer, brute force and a lot of ignorance. 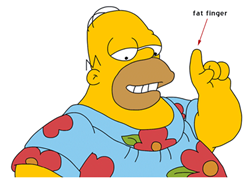 With care, frame nails (gimp pins) can easily be used instead. In preparing the wood for the last two sides I made two slanting cuts to create the ‘doors’, nailed everything down and added a simple hinge from a gimp pin. It’s worth noting that it’s much easier to place the door ‘hinge’ (pivot?) centrally, rather than at one end of the door. Firstly, there’s less chance the end of the door will foul the adjacent wood. Secondly, to open the door you just need to push one end inwards with the hive tool; there’s no need to add a handle (a screw or nail that protrudes) to open the door outwards. This means there’s nothing to protrude and catch on clothing, on adjacent stacked boxes or on the lower lip of the roof when you’re using it as a crownboard. Finally, the bees won’t care. I gave the wood a couple of coats of (ironically) One Coat Ronseal Fence Life which should protect it from the elements. 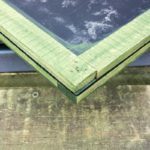 There’s a good explanation of split board construction in a post by Calluna4u on the SBAi discussion forum (“the thinking beekeepers web forum”). Calluna4u has a wealth of experience as a commercial beekeeper and prepares these boards in industrial quantities. His design differs slightly as it’s for use with hives arranged four to a palette. 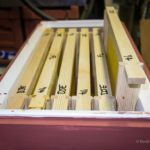 His post contains links to suppliers for 6mm pre-cut Correx in Dundee which might be useful to Scottish-based beekeepers. 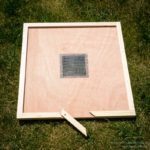 This entry was posted in Beekeeping, DIY, Queen rearing and tagged Correx, queen rearing, split board, vertical split on May 12, 2017 by David. Of the polystyrene nucleus hives (polynucs) I’ve seen, owned or butchered, the Everynuc sold by Thorne’s is the one I prefer. They have a separate OMF floor and Varroa tray, are easy to paint and are made from dense, robust and thick (i.e. well-insulating) polystyrene. The entrance is a gaping maw, but that is easily fixed with some wire mesh pinned in place. The beespace is also an issue due to the compromises made to accommodate both long-lugged National and short-lugged Langstroth frames, but again this can be fixed easily and cheaply (though it’s a bit irritating having to ‘fix’ a box that costs almost £50 🙁 ). Colonies overwintered in these boxes did very well and were generally at least as good, and often better, than my colonies in cedar hives†. Although I’ve also purchased a few of the Miller-type feeders it’s actually easier to prise up one end of the crownboard and simply drop fondant – or pour syrup – into the integral feeder in the brood box. Checking the remaining fondant/syrup levels takes seconds through the clear flexible crownboard and barely disturbs the colony at all. Due to work commitments I haven’t had time this season to deal with high-maintenance mini-nucs for queen mating, so have been exclusively using these Everynucs. With the vagaries of the weather in my part of the world it’s good not to have to keep checking them for stores during cold, wet periods. It’s also great to work with full-sized brood frames that allow the laying pattern of the queen to be determined easily. I usually raise a couple of batches of queens in a season and this means I’m going in and out of a dozen or so of these boxes regularly, making them up, priming them with a sealed queen cell, inspecting them for a mated queen etc. I usually start them off as 3 frame nucs, dummied down, to save resources, allowing them to expand with successive batches of queens. One of the nice features of these boxes is their internal width which is almost but not quite sufficient for 6 Hoffmann frames. 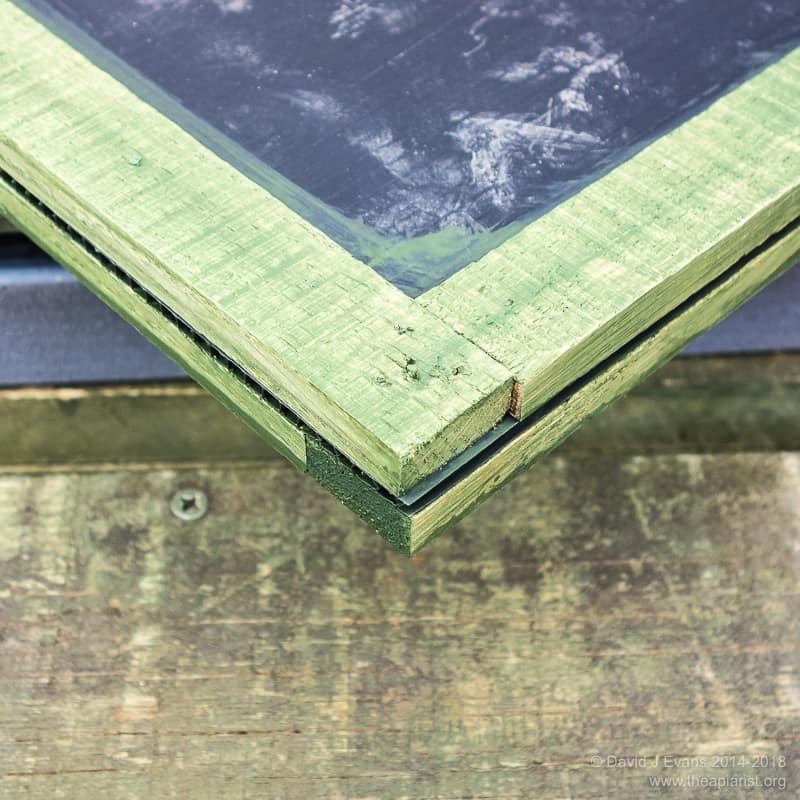 You therefore need to use five frames together with a dummy board to avoid strong colonies building brace comb in the gaps on one or both sides of the outside frames. One advantage of this additional ‘elbow room’ is that these boxes can accommodate slightly fatter brood frames, for example when the bees build up the corners with stores rather than drawing out foundation of the adjacent frame. 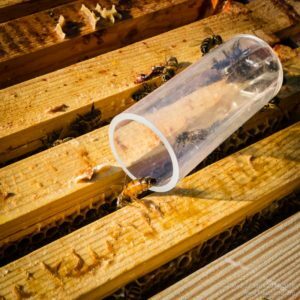 There’s also ample space to introduce a queen cell or caged queen, check for emergence – or release – in a day or two and then gently push the frames back together again. Even better, by removing the dummy board there’s enough space to work from one side of the box to the other without first removing, and leaving aside, a frame to make space. 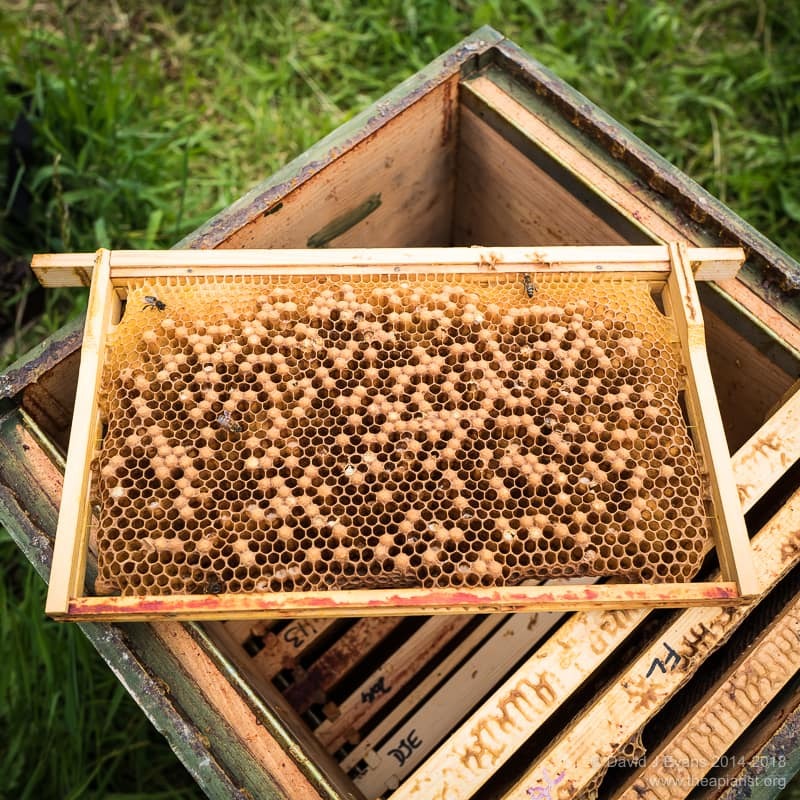 The frames do need to be removed gently and slowly to avoid rolling bees (but you do this anyway of course). However, since I’m generally looking for the recently mated and laying queen ‘slow and steady’ is a definite advantage. In the image below you can see the space available, even when four of the frames are reasonably heavily propilised. To make frame manipulation easier it’s worth adding a frame runner on the inside of the feed compartment (it’s the white strip just visible in the photo above) as described previously. Without this the bees tend to stick the frames to the coarse wooden lip of the feeder with propolis, thereby making it more difficult to gently slide the frames together (or apart). The brood boxes of these Everynuc’s stack, meaning you can easily unite two nucs into a vertical 10-frame unit using newspaper. 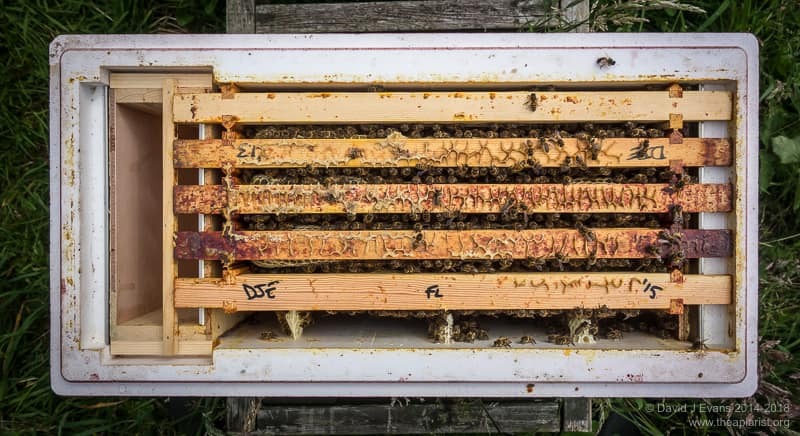 The vertical beespace is wrong (the boxes are appreciably deeper than a National frame) so the resulting colony should be moved to a standard 10-12 frame brood box before they build extensive brace comb. 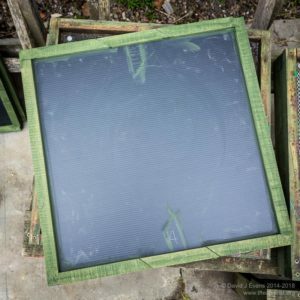 As the season draws to an end it’s therefore possible to take pairs of boxes, remove the queen from one to requeen another hive, unite the colonies and then – a week or so later – have a good 10-frame colony to prepare for overwintering … or, of course, overwinter them directly in these nucleus hives. † The only exception were those in the bee shed which were probably 2-3 weeks even further ahead in their development by late March/early April this year. 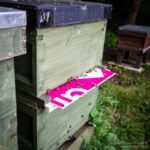 This entry was posted in Beekeeping, Hives and nucs and tagged Everynuc, Nucs, poly, queen rearing on August 5, 2016 by David. Disappointingly, but not altogether surprisingly, small hive beetle (SHB) has reappeared in Southern Italy again. The beetle was first detected in mid-September 2014 in the Calabria region. 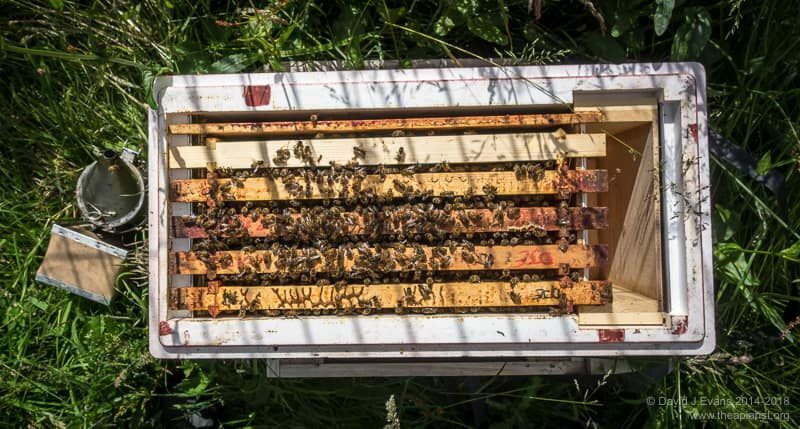 The following couple of months saw a further 60 reported infested apiaries in Calabria and neighbouring regions, with a single apiary in Sicily – containing migratory hives – in which the beetle was also detected. 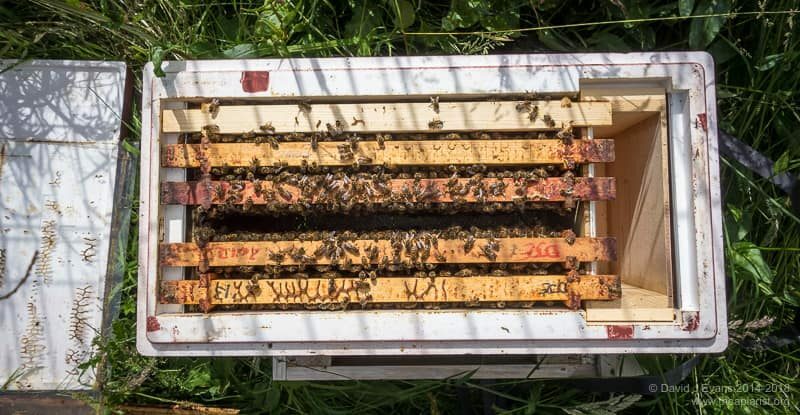 The Italian authorities surveyed over 1200 apiaries during the last four months of 2014 with over 3200 hives in infested apiaries being destroyed. Beekeepers were compensated, but this must have been devastating for those involved. 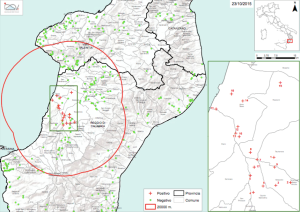 Then everything went quiet … Spring testing (March to May), which involved both a national surveillance programme and specific activity – including sentinel nucs – in Calabria and Sicily, didn’t detect any infested apiaries. 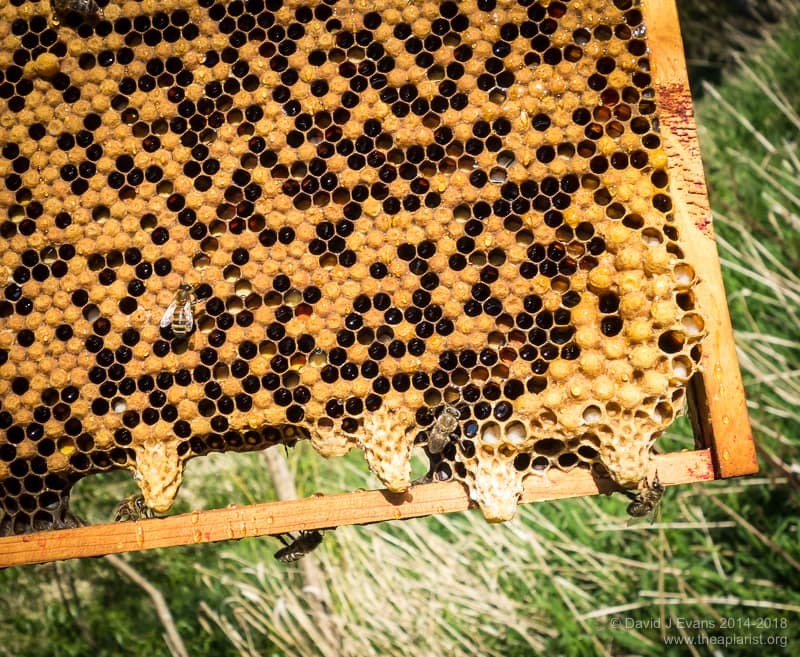 In mid-September this year (English link in the top right corner of page) an apiary was discovered with hives containing both larvae and adult beetles. At the time of writing (23/8/15) a further 16 infested apiaries have subsequently been discovered, all within the western part of Calabria (PDF map of the current situation) in the ‘toe’ of Italy. This is a disappointing development as it suggests strongly that the beetle remains well established in Italy and that eradication was not achieved. An alternative suggestion – promoted by the Federazione Apicoltori Italiani (FAI) – is that this new detection represents a re-introduction of the beetle to Italy. This seems a bit far fetched … the infested apiaries are some distance from the coastal ports or large cargo airports but are instead slap-bang in the middle of the area with the largest number of infested apiaries in 2014. If it walks like a duck etc. Unlike Varroa the beetle isn’t restricted to honeybee colonies. It can fly long distances (kilometres) and, although the larvae feed on pollen, brood and honey in the hive, they pupate outside the hive buried 10-20cm deep in soil and have been known to crawl 200m in search of suitable soil in which to pupate. Presumably the reappearance of the beetle in Italy is either due to low level infestations being missed or to beetles emerging after pupation and re-infesting colonies. Or both. Indeed, the only time I’m aware that ‘eradication’ was achieved was when the beetle was introduced in an illegal shipment from queens to a single apiary in the UK. In addition to destroying the colonies, the ground was ploughed up, soil removed and the area drenched in insecticide1. I’m not aware in this case whether the beetles had even become established after introduction. In contrast, by the end of 2014 the beetle was widely distributed and well established and it is therefore not surprising, despite the concerted efforts of the Italian authorities, that they have failed to eradicate the beetle. In time-honoured EU tradition an export ban on the affected region had been imposed, but it’s seemingly difficult – if not impossible – to impose an import ban to protect our bees and beekeeping. My concern is that nucs or packages imported to the UK from a region not currently under an EU-imposed movement ban might introduce the beetle into this country. The original movement ban on Calabria and Sicily (actually, not on the entire areas, but instead lying within a 20km radius from the known infested apiaries) was due to end in November 2015. Had the beetle not been detected it would have been at least theoretically possible to import bees from these regions, either directly or indirectly, for the start of the 2016 season. Presumably the movement ban will be extended in light of the failure to eradicate. It’s also worth noting that only about 10% of imports are checked as they come into the UK and that the volume of illegal imports is not known. 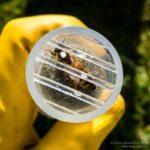 * This is a pretty weak statement in my view … although we do cope with Varroa I’m sure the vast majority of beekeepers would much prefer to not have to deal with the mite. 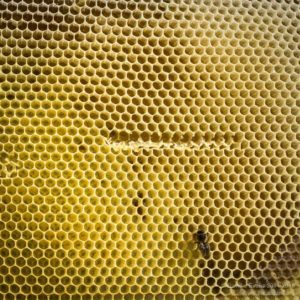 Registering your apiaries on Beebase. The National Bee Unit will then both keep you informed of developments and know where colonies are should there be an outbreak and the regional inspector needs to check them. 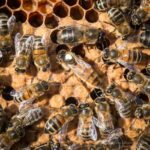 Plan to become self-sufficient as a beekeeper … perhaps forego a little honey by preparing an additional nuc to overwinter for security, learn how to raise queens or – if you do already – raise a couple of additional queens. Buy local bees or queens if you need to buy any. Sell your own surplus locally. 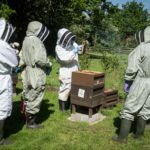 Encourage your association to become self-sufficient for bees and queens – establish a queen rearing group, or guarantee all those attending a beekeeping winter training course will be provided with a locally raised nuc for the following season. Don’t buy imported queens or bees and discourage others from doing the same, for example by not allowing imported stocks in association apiaries. Obviously points 2-4 are all aimed at avoiding the need to import bees or queens. This is because the most likely route by which SHB will get to the UK is in imported nucs, packages, queens or other beekeeping materials (e.g. wax). Don’t believe some of the nonsense about ‘pupae in contaminated soil’ as the most likely route … the NBU have conducted a thorough risk assessment (PDF) and by far and away the most probable route the beetle will gain access to the UK is with bees or beekeeping (hive) products. Where known, this is how it got into all other countries that currently have the beetle. Not about small hive beetle I’m afraid. Other than it’s not here … yet. Michael Palmer started a discussion on the Beesource forum with the prophetic words “The UK will soon have Small Hive Beetles in their area” helpfully requesting comparisons in climate between US locations that find the beetle a nuisance and those that do not. It’s worth watching. 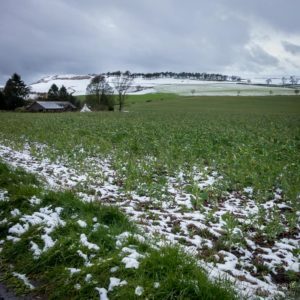 Clearly climate is only part of the equation … soil type – and temperature (as pointed out by knowledgeable contributors to the BKF thread on this) also has a significant influence, with the beetle preferring light and/or sandy soils to pupate in. 1.Murilhas, A (2005) Aethina tumida arrives in Portugal. Will it be eradicated? EurBee Newsletter: 7‑9. This entry was posted in Beekeeping, Invasives and tagged health, imports, Italy, Nucs, queen rearing, SHB on October 24, 2015 by David. I spent last Friday and Saturday attending the Midland and South West Counties Convention at the Royal Agricultural University, Cirencester. It was a good venue for a meeting, complemented by an interesting and entertaining programme of talks. I presented our research on the influence of Varroa on the transmission of pathogenic strains of deformed wing virus, together with brief coverage of both high and low-tech solutions that might be useful in mitigating the detrimental impact of the mite on the virus population (and hence, the colony). The MSWCC 2016 event will be running again next year (on the Gower) in mid-October hosted by Swansea and District BKA. The theme is “Meet the Natives” and – if this year is anything to go by – it promises to be a very worthwhile event. This entry was posted in Beekeeping, Talks and tagged autumn, DWV, health, queen rearing, talk on September 23, 2015 by David. 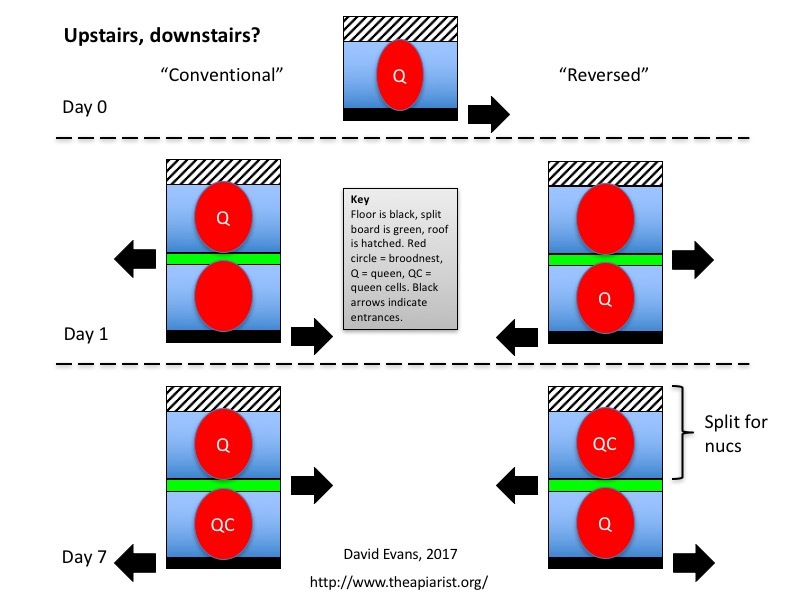 A vertical split describes the division of a colony into two – one queenright, the other queenless – on the same floor and under the same roof, with the intention of allowing the queenless colony to raise a new queen. If successful, you end up with two colonies from the original one. This approach can be used as a means of swarm prevention, as a way to requeen a colony, as a way to generate two colonies from one, or – to be covered in another post – the starting point to generate a number of nucleus colonies. It’s a hands-off way of queen rearing … without the need to graft, to prepare cell raising colonies or to manage mating nucs. Wally Shaw has written an excellent guide to simple ways of making increase (PDF) which includes a number of variants of the straightforward vertical split described here. 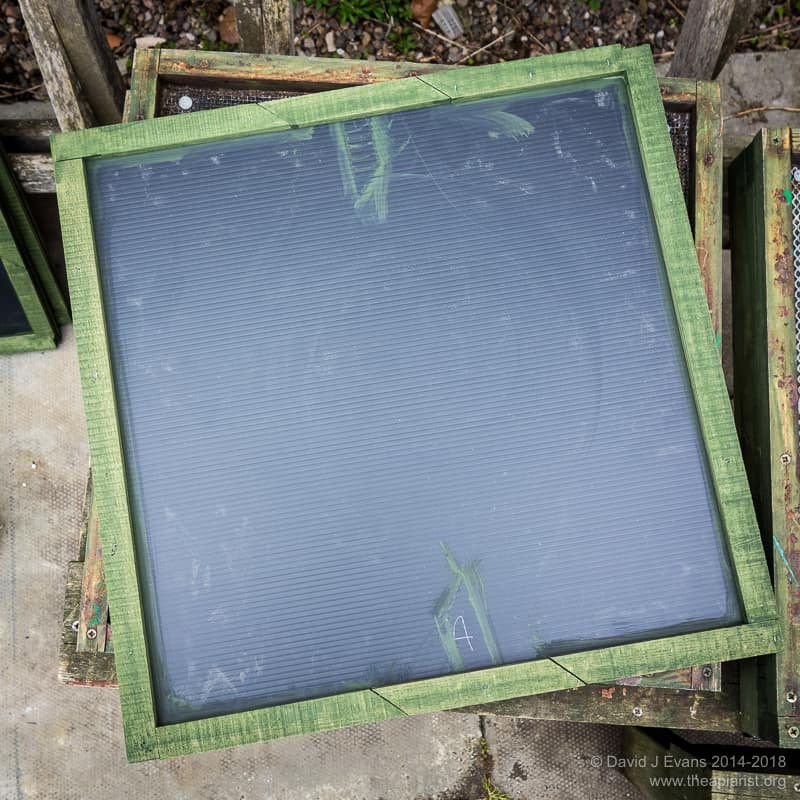 There are additional instructions available on the Kent beekeepers website by Nick Withers (Swarm Management – Under One Roof … in which the ‘split board’ described below is termed a swarm board). Wally’s article is particularly good, but includes complications like brood and a half colonies and a host of further embellishments. For simplicity I’ve restricted my description to a situation when you have one colony – on single or double brood boxes, possibly with supers on top – and want to divide it into two. You need a way to divide the colony in two and provide an upper entrance. There are many ways of doing this, including the multi-entrance Snelgrove board (PDF) and the increasingly popular Horsley board, but one of the most straightforward is a simple split board as shown in the picture. A single sheet of 9-12mm plywood forms the basis for the board, with a ‘beespace’ rim on both faces. On one side (the ‘upper’ side when in use) make a simple hinged door as shown. 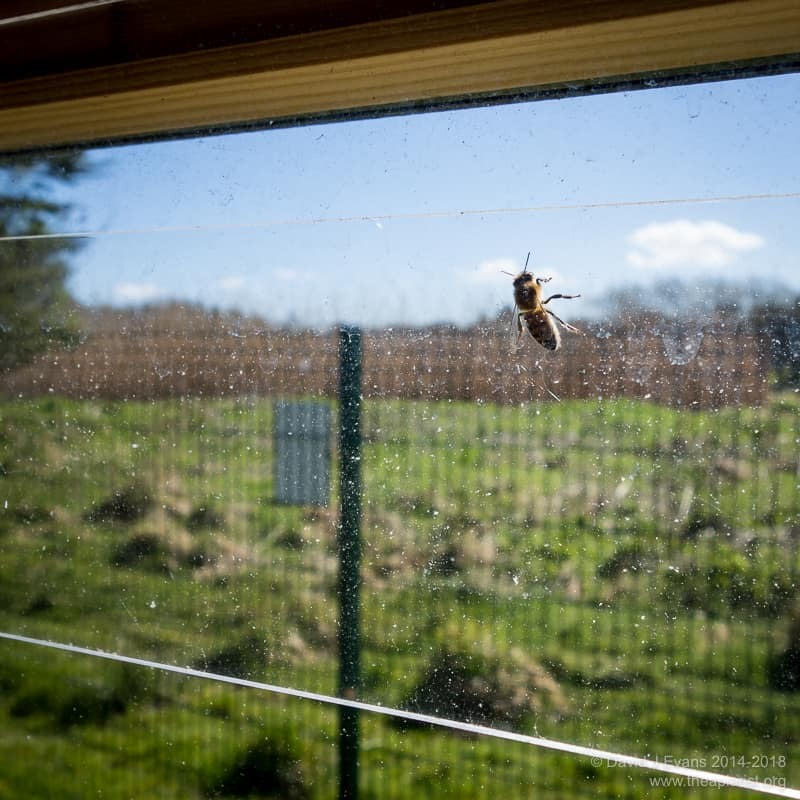 In the middle of the board cover a 100mm square hole with a single sheet of Varroa mesh – this allows the odour of the colonies to merge and for warmth to spread from the lower box to the upper one. The general idea is to divide a strong, healthy colony into two. The colony is arranged so that the queenright side of the split gets depleted of bees which boost the queenless side, so providing ideal conditions for making emergency queen cells. After the cells are sealed the colony is manipulated to deplete the queenless side of bees, and strengthen the queenright side. This prevents swarming. Nectar collection continues without too much interruption if there is a flow on. All of this is achieved by straightforward manipulations of the colony on day one and day 7. You should have a mated, laying queen (in the originally queenless side of the split) about 3 weeks later. It’s only worth rearing queens from colonies that exhibit desirable qualities – healthy, docile, a good laying pattern, steady on the comb etc. Of these, I’d argue that health and temper are two critical characteristics. You need to make these judgements over an extended period – I’ve briefly discussed the basics of good record keeping when selecting larvae for grafting, and the same principles apply here. Like computing – rubbish in, rubbish out. If your colony doesn’t have the necessary desirable characteristics there are ways of modifying the method described below to raise queens from better stock … but lets deal with the basics first. Gently smoke the colony and remove the lid and crownboard. You need to find the queen so don’t gas them. If the colony is already on double brood move the top box – which probably contains the queen – off to the side. 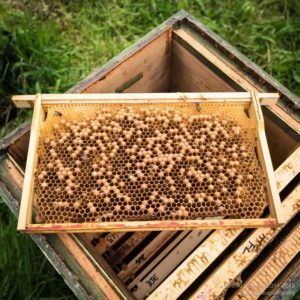 If the colony is on a single brood box you’ll need a second brood box and 11 frames of drawn comb (ideally) or foundation. 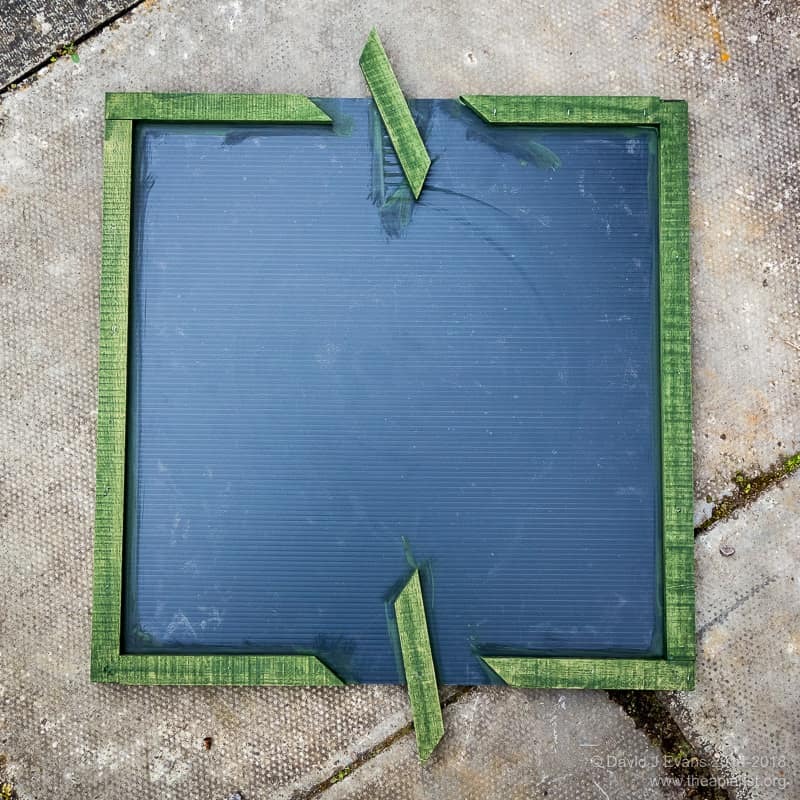 Having checked carefully that the queen isn’t present on them remove a couple of outside frames to allow you space to manipulate the remainder. Go through the boxes carefully and find the frame with the queen on it. Either put this somewhere safe, like a two-frame nuc box, or leave it well separated from the other frames so that the queen stays put on it. Rearrange frames between the two brood boxes so that the queen, older larvae and some sealed brood is present in what will become the upper box, together with a frame or two of stores. Eggs and young larvae should predominantly be in the bottom box. This isn’t a precise science, you need sufficient brood with the queen to build up a new colony and sufficient eggs and very young larvae for the queenless side to have a good choice of young larvae from which to raise a new queen. Reassemble the boxes with the brood in the centre, flanked by either stores and/or the new frames. The idea is to create two brood nests, one above the other, roughly centred on the mesh-covered hole in the split board. Place the queenless box on the original floor. Put the split board on top with the entrance open and facing in the opposite direction to the original entrance. Put the queenright box on top of the split board, then replace the crownboard and the roof (see the note about supers below). Leave the colony for a week. 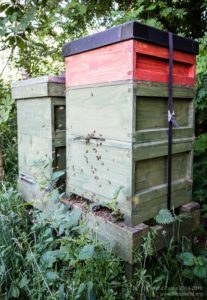 What’s happening … During this week foragers leaving the top box will mainly re-enter via the entrance at the front of the colony, so significantly boosting the numbers of bees in the bottom box. This box will rapidly realise it is queenless and will raise new queen cells. The concentration of bees in the bottom box will ensure that the developing queen larvae are well fed. If there were queen cells in the top box (with the queen) the depleted bee numbers will mean they will soon get torn down. The queen will continue laying uninterrupted. You don’t need to inspect the colony at all, but you do need to rearrange it. If there are no supers on the colony and you’re feeling very strong you can simply reverse the entire colony on the stand. The original bottom entrance is now at the ‘back’ and the upper entrance is at the ‘front’. That’s it … leave them to it. There should be a new queen, mated and laying, in the bottom box in about 3 weeks. However, remember that this is a double brood box at the height of the season. There is likely to be a good nectar flow on and there should be some reasonably fragile queen cells in the bottom box – dropping the hive when reversing it could be catastrophic, and not just for anyone standing nearby (as an aside, the mushroom-like cloud of bees that erupt from a dropped brood box is one of the most spectacular sights in beekeeping … probably the ultimate test of how impenetrable your beesuit is and how steady your nerves are). Far better than Charles Atlas-like heroics it’s probably better to separate the colony below the split board, put the upper box aside, reverse the lower box and floor, then replace the upper with the entrance now facing in the opposite direction (see the figure above). If you do inspect the colony at this stage you’ll find a happily laying queen in the top box. There will be no queen cells in the top box unless there is something wrong with the queen. There should be relatively fewer bees in the top box – thousands not hundreds. In contrast, the bottom box will be very crowded with bees and there will be multiple queen cells present, both sealed and unsealed. Leave them … the bees will choose a good one in due course. 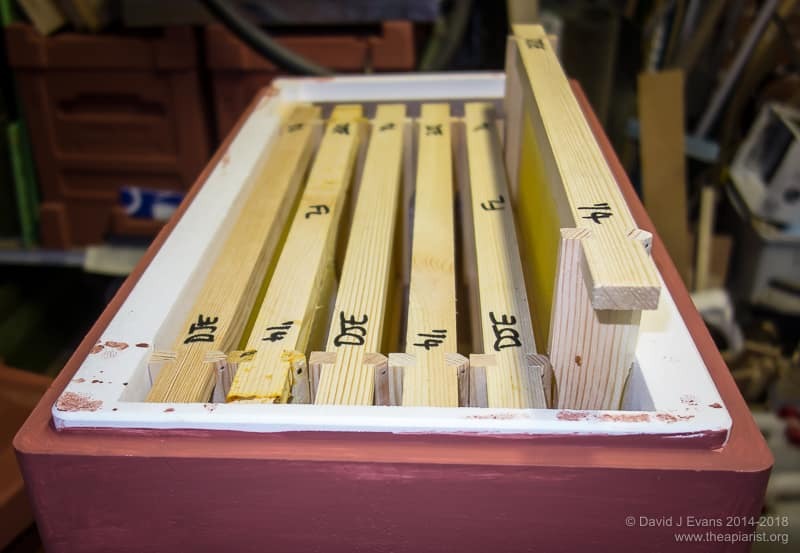 What’s happening … During the next few days the bottom box will get depleted of bees as they leave by the lower entrance and return to the ‘front’ of the hive, eventually finding the upper entrance and strengthening the upper box containing the laying queen. 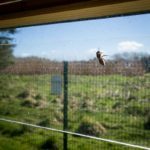 Initially there will be considerable confusion, with hundreds of bees milling around at the site of the original entrance. For this reason it’s best not to rearrange the colony late in the evening … do it earlier in the day to allow them ample time to reorientate to the upper entrance. This reorientation takes a couple of days – don’t worry about it, there will be a lot more activity around the entrances (and positions of previous entrances) during this period. A limited number of virgin queens should emerge about 16 days after the initial manipulation and the depleted bee numbers in the bottom box will ensure that the colony shouldn’t throw off casts. If multiple virgins emerge at the same time they’ll probably fight it out to leave just one. In due course, usually about 5-6 days after emerging, the virgin will go on one or more mating flights and return to the lower box and start laying. 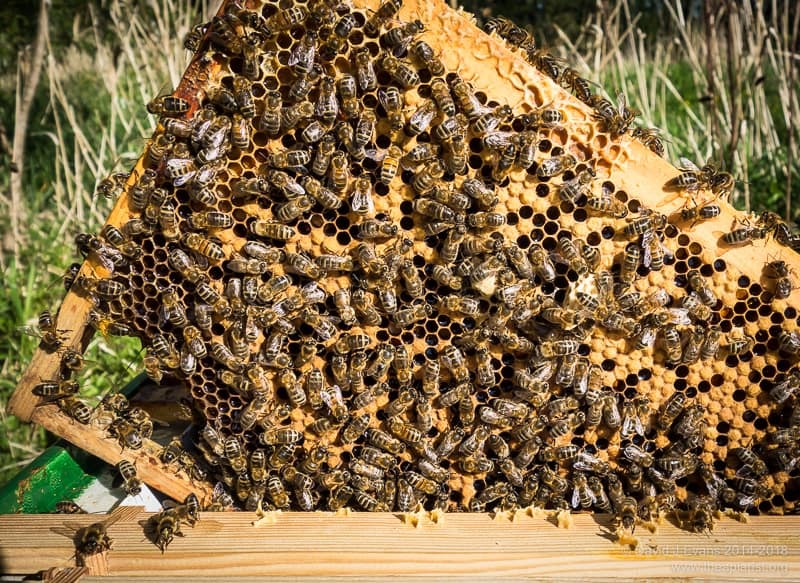 If there are supers on the original colony, or the nectar flow is strong during the month-long process and you need to add supers, then there is a simple rule about where they should be placed – above the strongest of the two brood boxes, separated by a queen excluder. This means that during the first week they will be on top of the lower brood box, below the split board, and in subsequent weeks they will be above the upper brood box, underneath the crown board. Because the split board has a mesh screen the colony odours are mixed and the bees should not fight during these rearrangements. There’s no need to empty the bees from supers when moving them. Any enthusiastic DIY beekeeper will realise that the entire process can be made much easier by creating both a split board and floor with two opposing entrances. Using these there would be no need to reverse the colony on day 7. 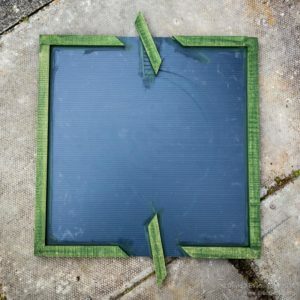 The split board might be a sensible modification – something to build during the winter. However, the Kewl floors I favour don’t readily lend themselves to this type of design and – although having a physique more like Charles Hawtrey than Charles Atlas – I find it easy enough to manhandle the colony as needed. A floor with opposing entrances would also benefit queen rearing using a Cloake board which has some similarities to the principles of the vertical split. At the end of this vertical split you will have two queenright colonies under a single roof. You can either move one or other away (remembering the 3 feet and 3 miles rule or the box that remains on the original site will collect all the returning foragers) thereby doubling your colony number. Alternatively, you can inspect the upper box and sacrifice the old queen (of course, if she’s simply surplus to requirements but still performing OK you could offer her to another beekeeper … these little acts of kindness are appreciated both by the recipient and the queen), remove the split board and thereby unite the two colonies into one strong colony. 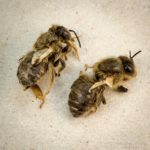 And, of course, if something goes wrong – the new queen doesn’t get mated or the old queen fails during the process – you can simply merge the colonies back down to one. almost no additional equipment needed. colony ‘smell’ retained making uniting or exchanging supers easier. swarming and controlled increase are possible with little intervention. vertical lifting required and boxes may be heavy. inspections of the bottom box are complicated (not least by the mass of bees trying to return to the upper entrance). supers need to be moved during the procedure and add to the weight (but think of all that lovely honey 😉 ). some smaller colonies may not raise a new queen in the bottom box – I don’t know why this is, but suspect it’s due to the amount of queen pheromone, particularly from a young, strong queen in the top box. I intend to investigate whether a super separating the boxes might help prevent this. 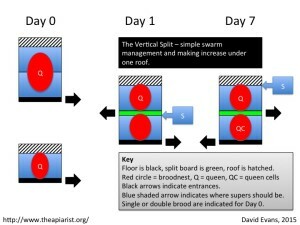 This entry was posted in Beekeeping, Boards, Queen rearing and tagged making increase, queen cells, queen rearing, split on July 19, 2015 by David. Queen mating has been a bit hit and miss for me this year so I was pleased to find a number of mated, laying queens in 5 frame nucs when I checked yesterday evening. The nucs were arranged using a circle split and a couple of queens had clearly failed to return from mating flights (that’s a guess … she had definitely emerged from the cell). These boxes were depleted of bees and the remaining stores were being robbed out. I moved these nucs aside and shook the remaining bees out. I’d forgotten my scissors but did find a marking cage and pen in my beesuit, so carefully started queen marking each mated, laying queen. Inevitably when rushed (I’d just got off a delayed flight from Scotland and was running out of evening) I managed to drop one of the queens as I tried to manipulate her into the marking cage. They can fly, just not well and not far … she did a sort of lazy spiral and was easy to spot because of her size. However, I lost sight of her against the low evening sun in the mass of returning foragers. Oops. 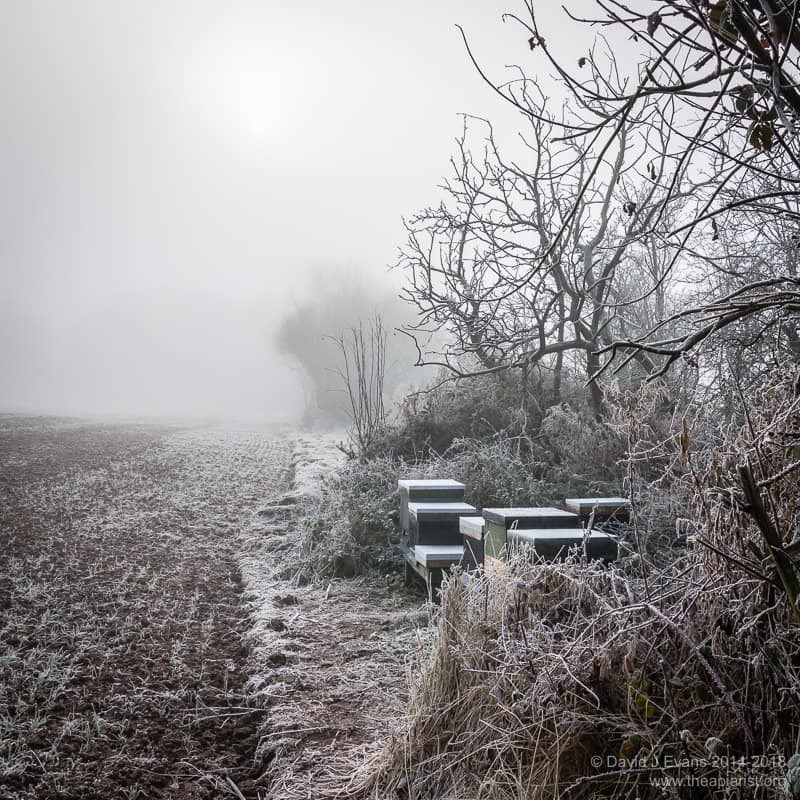 I stepped carefully outside the circle of nucs – they usually crash to earth nearby – and tidied up the rest of my gear. It would add injury to insult if I’d managed to stand on her … Finally, on my last look around I spotted her clinging to some grasses near the hive entrance. I caged and marked her, reopened the nuc and allowed her to serenely walk back into the colony. Both the churchyard swarm and swarm that delivered itself to a bait hive have mated, laying queens. The initial large drop of phoretic mites – more than 150 from the former – shows how valuable prompt treatment with vaporised oxalic acid is. In 2-3 weeks it will be easy to determine the quality of the laying pattern of the queen and the temper of the colony will start to become apparent. At that point a decision will be made to keep them or unite them with another colony. This entry was posted in Beekeeping, Queen rearing and tagged mating, Nucs, queen marking, queen rearing, split on June 29, 2015 by David.